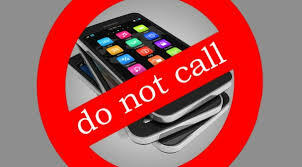 Help Stop Marketing and Debt Collection Ringless Voicemails — ACT TODAY! DEADLINE TODAY! The publicity has prompted a lot of consumers to file comments with the FCC imploring it not to allow ringless voicemail. Today, June 2, is the official deadline for comments. Please consider circulating the comment link to your clients, friends, and family today, and urging them to file comments. The volume of consumer comments opposing measures that weaken the TCPA will have enormous persuasive effect. (Note that, while meeting the deadline is best, even comments filed after the official deadline will be persuasive). To file comments, people should go to https://www.fcc.gov/ecfs/filings/express, enter 02-278 in the field for “Proceeding(s)” and type their comments at the bottom of the page. It’s not necessary to mention “ringless voicemail,” but it can’t hurt.